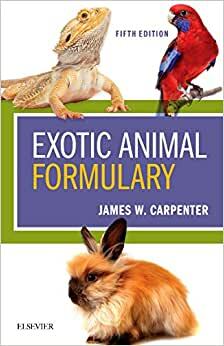 Start reading Exotic Animal Formulary - E-Book on your Kindle in under a minute. This update has the same qualities of the one before, but a larger amount of material. A must-have for exotic practice. As an exotics only veterinarian it’s great. Have owned all 4 previous editions!! 2.0 out of 5 starsGood book, but came damaged. Ordered 2 of these books as gifts for Doctors. Unfortunately both books came in less than new conditions. The spine was ripped on one book, and both books had folded pages and some small tips on the pages as well. We are disappointed to have to give these as gifts since we have no time to return them. I've been encouraging my vets to participate in my work as a wildlife rehabilitator. I this giving them this reference guide will do the trick! Great formulary for small animals like squirrels and opossums. A real life saver. Love the updated edition.